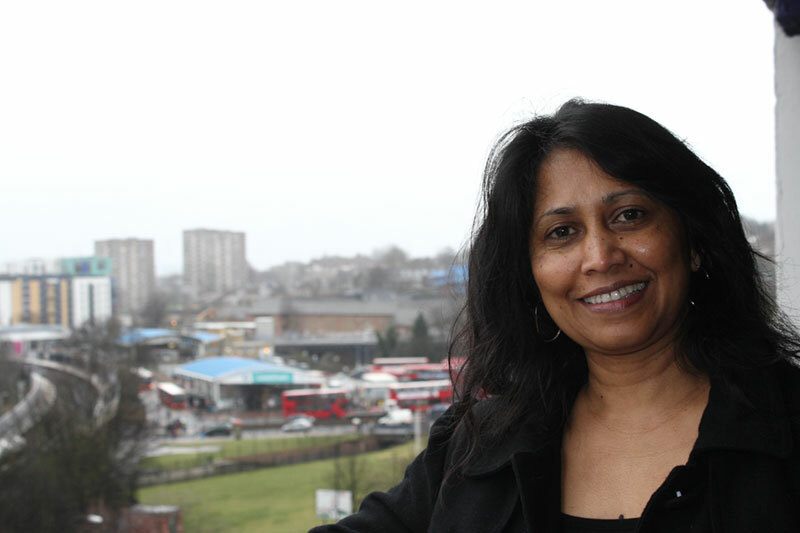 At Mayor’s Question Time of 27th January the Chair of the Transport Committee at GLA Caroline Pideon AM has tackled Mayor Boris Johnson on the issue of two dangerous junctions in Lewisham, both in need of a pedestrian light. Mayor Boris dodged! Just as TfL has recently done when enquired about the Courthill Road junction. You failed to properly answer my question (3048/2009) about the Tiger’s Head and the Courthill Road junctions in Lewisham which I asked in October 2009. Following the immense delays in ensuring there are improvements in pedestrian safety at these two specific junctions at Lewisham, and also the significant direct representations that have made to you by Assembly Members, local councillors, Lewisham Council and members of the public, I would like to ask again whether you yourself would be willing to join me and look at these dangers that presently exist at these two junctions? In my answer to MQ3048 / 2009, I said that TfL would contact you to discuss this issue. As I understand it, the Director of Integrated Programme Delivery within TfL Surface Transport met you on 3 November 2009 for a discussion. 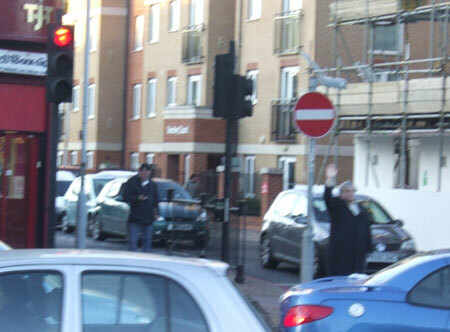 As experts and highway authority for this junction, it is correct that TfL discusses this with you on my behalf. Should a site meeting still be required, please let TfL know. I spoke with Caroline Pidgeon AM about this, and what seems to happen here is that either TfL or Mayor Johnson are being clever with words. 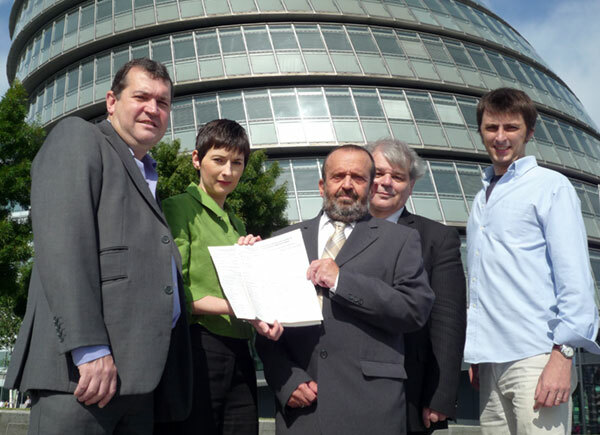 Caroline Pidgeon AM is Chair of the Transport Committee, and as such has routine briefing meetings with officers, including the one quoted in Mayor Johnson’s letter, but never, as the reply from Mayor Johnson says, she was contacted “to discuss this issue”. 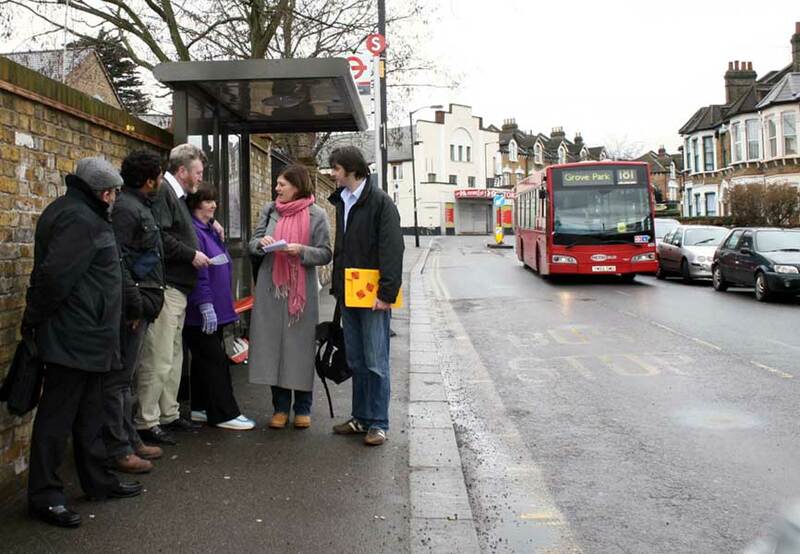 And so let’s restate the invitation to Mayor Johnson, please come down to Lewisham and cross the road with us. You’ll find that in lieu of a pedestrian crossing the 5 fundamentals of dodgeball – dodge, dip, duck, dive and dodge – come very handy indeed when crossing Courthill Road. Show us how a master does it. You can also write an email to Mayor Johnson and ask him to join us in a crossing of Courthill Road. p.s. : since I’m on the issue here’s the letter I sent to TfL in reply to their last correspondence on the subject. A conference on Civic Societies and apparently also on Lewisham’s Local Development Framework (already discussed on this blog here). Next week Thursday 18th February, 8pm to 10pm, The Golden Lion, 116 Sydenham Road, London SE26 5JX. Thanks to Brockley Central for the tip. 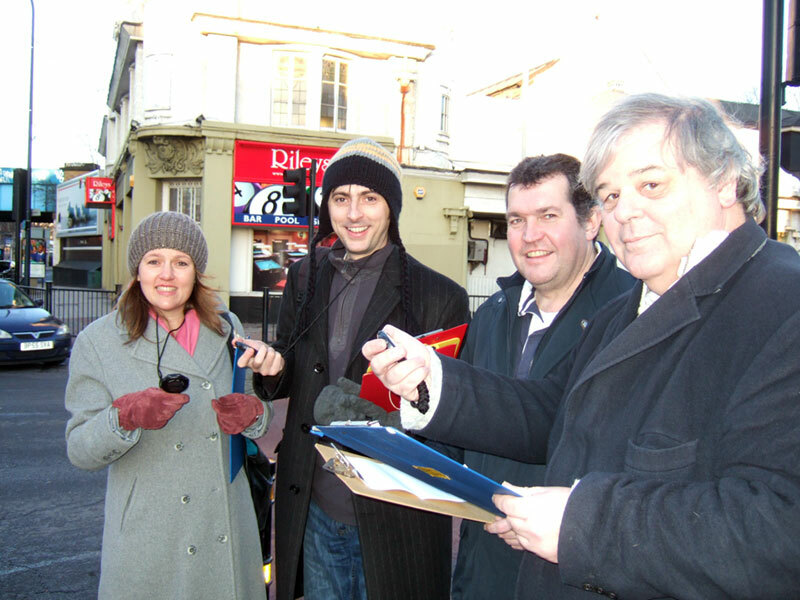 Braving a ridiculously cold weather and armed with stopwatches and clipboards this Sunday a team of Lewisham Libdems were joined by a handful of thermally resistant residents and timed the Courthill Road junction. With people at each side of the junction raising a hand whenever the light they faced was red we could ascertain that there is never a moment when all lights are red for cars and the junction is safe for pedestrians to cross. Another important observation that we could make spending half an hour there was that with intense traffic the junction becomes seriously gridlocked over and over again because just as pedestrians remain dangerously stuck halfway through the crossing, cars also remain very often stuck halfway through the junction. Now, despite the fact that a gridlocked junction is actually quite safe to cross (unless you have a disability, carry shopping bags or push a pram of course), what this indicates is that TfL’s argument that a pedestrian light would slow down traffic doesn’t really have any merit because the junction doesn’t need any help from pedestrians to reach standstill. But what is also important is the context of the junction. When traffic is intense all other junctions on its route are just as stuck and traffic between Catford and Lewisham (and beyond both ways) goes as slow as traffic can go, and this means that a pedestrian light wouldn’t make the Courthill Road junction a bottleneck on an otherwise flowing traffic, only a more ordered and safe junction of a road that every day at peak time receives much more traffic that it can take. Out of peak time traffic the argument against a pedestrian light is also weak as traffic flows and cars can therefore afford the odd ten seconds to let pedestrians cross in safety. What next? 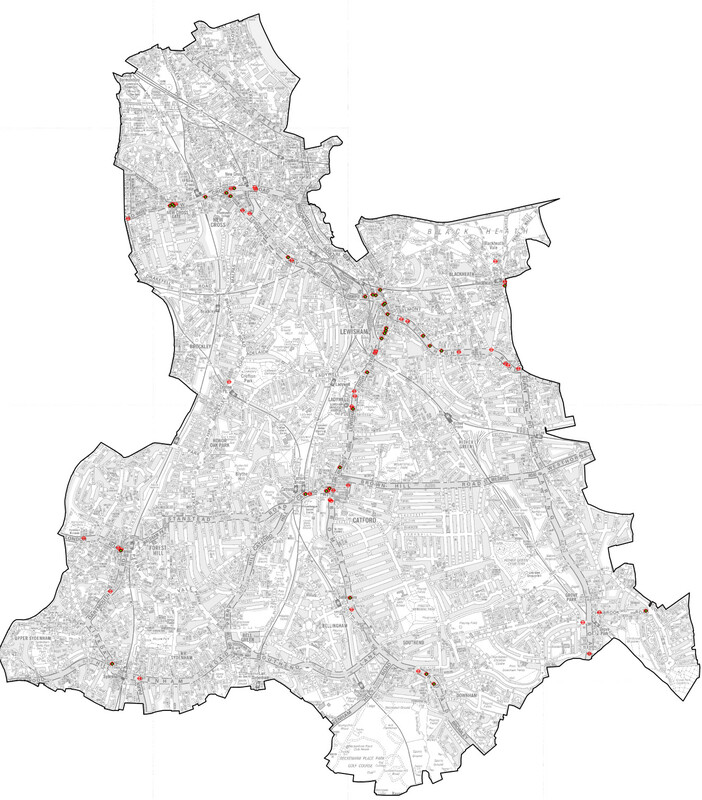 We’ll feed these data together with a stronger case for a pedestrian light at the bottom of Courthill Road to both TfL and Caroline Pidgeon AM who is chair of the Transport Committee at the London Assembly. 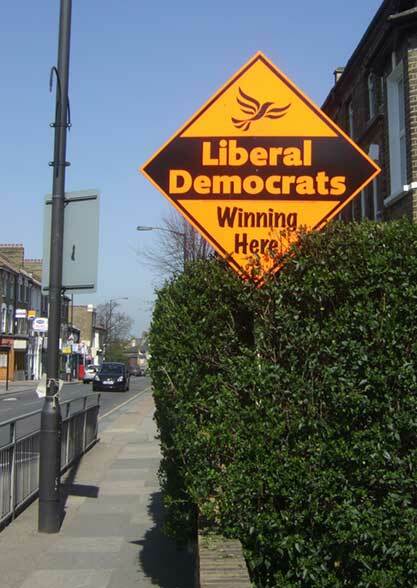 We’ve been campaigning for a pedestrian traffic light at the bottom of Courthill Road for a long time and awareness is high, let’s keep it on the agenda of those that can make it happen. I wrote this already but it’s worth repeating, you can help by emailing to londonstreets@tfl.gov.uk and adding your name to our online petition. In the photo from left Tam Langley, me with a hat, Chris Maines and Andrew Milton. Are you planning to go to central London this Saturday 5th December to join in the Wave? Then why not cycle it there with the cyclists’ group organised by Councillor Pete Pattison? The group will leave from the Clock Tower in Lewisham Town Centre at 11am.